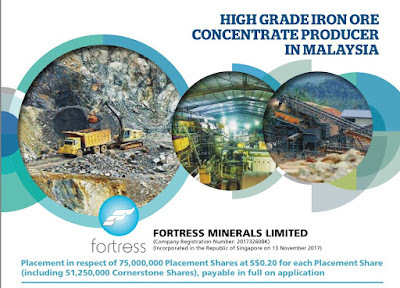 Fortress Minerals Limited is offering 75m Placement Shares (including 51.25m Cornerstone Shares) at $0.20 per share for a listing on Catalist. There is no public offering. The IPO will close on 25 March at 2019, 12 pm. The market cap, based on the IPO price, will be S$100m. The Company is a high grade iron ore producer in Malaysia and is principally in the business of exploration, mining, production and sale of iron ore concentrate. The iron ore are sold to steel mills and trading companies in PRC and Malaysia. 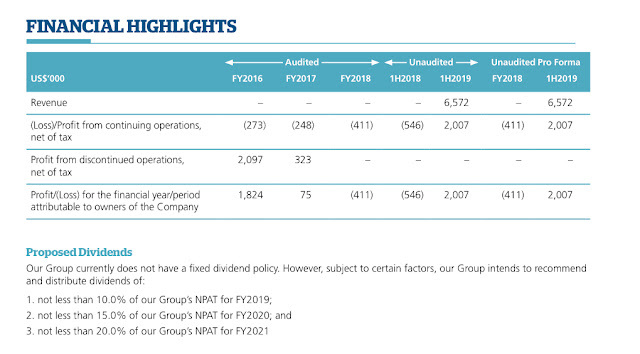 According to the prospectus, the unaudited pro forma financials for 1H 2019 shows a revenue of $6.5m and net profit of $2m. It also proposed an increasing dividend payout of no less than 10% of the Group NPAT for FY2019, increasing to 15% and 20% subsequently for FY2020 and FY2021. Company has turned profitable - It seemed that the Company has now turned profitable and intends to pay a dividend for the next 3 years. Do note that the financials are not audited though. 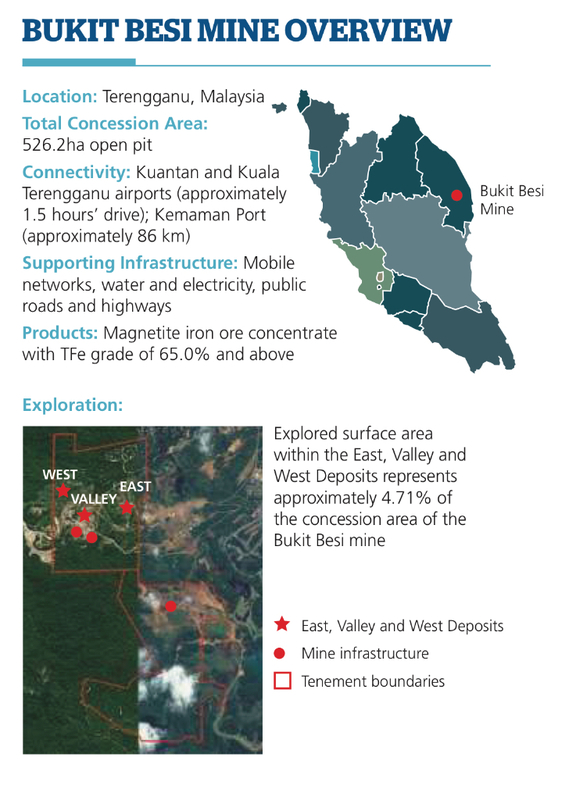 "M" companies are not well received locally - Both mining companies and Malaysian companies are not well received by local investors. Lion Gold has a market cap of $8.7m and still loss-making while the market cap of CNMC Goldmine is at $89m. CNMC share price has a roller coaster ride since its IPO. Environmental unfriendly - If you are into sustainable investing, this Company is probably not for you. My ratings are not important as it has no public offering. Even if it has a public tranche, i will probably have avoided it for valuation reasons (not to mention the weak IPO sentiment). Click "Like" for faster updates! What the IPO Chilli rating means?